The recent banking scandals that have rocked the world economy have at times seemed to be a battle between management and workers. This is a problem that is also at the heart of the series North & South based on the novel by Elizabeth Gaskell. This new DVD release features all 4 episodes of the series that was originally broadcast in 1975. Young Margaret Hale, after years of living with her aunt in fashionable London society, returns home to the idyllic Hampshire countryside to live with her parents. Margaret has become disillusioned with the vanity and shallowness of society, and expresses a desire to live a quiet life and associate only with "simple folk" such as laborers and farmers. She expresses a disdain for those who are "in trade" and admires those who earn a living by hard work. Her father, a vicar, soon shocks Margaret by announcing that he is giving up his post. He cannot accept the 39 Articles that have become church dogma. Since his housing is provided by the church, they will have to leave. He asks Margaret to tell all this to her mother, putting her in an awkward position, but she does so. 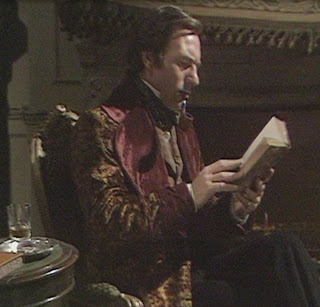 Margaret's godfather, Mr. Bell, suggests that Mr. Hale become a private tutor, and even arranges his first pupil, a Mr. John Thornton (played by a young Patrick Stewart -- with hair!). The only catch is that this pupil is in the northern industrial town of Milton. The family moves north and Margaret is especially horrified by the grimy and dirty city, so different from the lovely countryside of her former home. Mr. Thornton proves to be an eager pupil. He only attended school until age 15, when his father committed suicide and left John to support his mother and sister. He feels his lack of education, even though he has become a successful textile manufacturer and employs many people in his mill. Margaret, true to form, makes friends with some of the poorer people in town, including young Bessy Higgins. Bessy is coughing away her life after working in Thornton's carding room at the mill, which meant that she inhaled small fibers that are now making it difficult for her to breathe. This causes Margaret to become even more disillusioned with the powerful factory owners and their seemingly uncaring manner of dealing with their workers. Mr. Thornton, naturally, has fallen in love with Margaret, because he sees her as the epitome of a refined, cultured lady. Margaret does not return his affection and things only get worse when the workers talk of staging a strike for better wages. 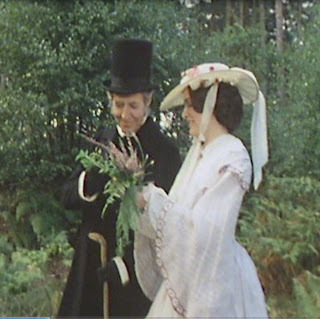 She tries to get Thornton to sympathize with the plight of the workers, but Thornton feels that if they don't like their wages, they don't have to work for him. He has a plan to ship in workers from Ireland if there is a strike, and he has the support of the military in case there is any unrest. 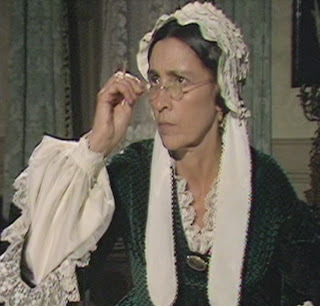 Margaret attempts to be a peacemaker between Thornton and the striking workers, and succeeds only in becoming the subject of gossip, as everyone assumes she his more fond of Thornton than she should be. There are also other mistaken assumptions which cast Margaret in a bad light. Mr. Thornton's dour mother is the first one to frown and gossip about Margaret's character. As usual, when confronted with the "evidence" of her questionable behavior, rather than explaining, Margaret just says if people think so badly of her, well, she can't change their minds. I can't see any modern heroine not setting the record straight -- probably at high volume and with nothing like the ladylike demeanor of Ms. Hale! Eventually, there are some changes of fortune for most characters that turn all preconceived notions around. Will Margaret ever come to see Mr. Thornton as anything other than a selfish tyrant? Will Mr. Thornton be able to convince Margaret that he loves her? Will Mrs. Thornton ever manage a smile? These questions area all answered in a very satisfactory manner by the end! I enjoyed this adaptation of Elizabeth Gaskell's novel. The only other work of hers I was familiar with was Cranford, so it's good to see the dramatizations of her works reaching modern viewers. Disclaimer: I received a copy of North & South from Acorn Media in exchange for this review.